Hooray for Ivy and Bean! The latest book in the series has Bean feeling left out as her sister Nancy goes to camp. At Girl Power 4-ever, she gets to do so many cool things. Bean has to sit at home. Mom tells her she can go to the park by herself, if that helps. It doesn’t. But when Ivy comes over, Bean sees that they can make their own camp, a better camp, because they can do anything they want. Ivy’s mom got new curtains so they use the old ones to make a tent (with the help of duct tape). They make up a great name: Camp Flaming Arrow. They set about doing camp things – like crafts. A friendship bracelet craft turns into an escape trick as the strings get wrapped around both arms of both girls. They have so much fun that some kids visiting their grandmother join them. The nature study has them searching for the dangerous Komodo dragon which attracts another boy who is bored of soccer camp. At the end of the week, Bean had way more fun than Nancy. 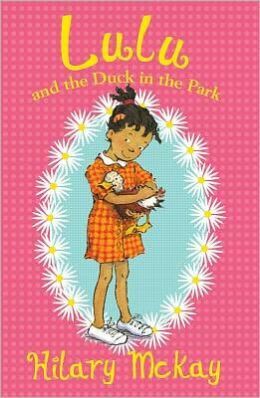 Lulu and the Duck in the Park is a charming third grade level chapter book that will interest both boys and girls. The plot is one that will hook a new reader because it begins with Lulu and her love for animals. Animals are a big interest for third grade readers. This chapter book is 92 pages for the story and another few pages for third graders to read a preview of the next book in the series. This serves to entice students and encourage them to read more. 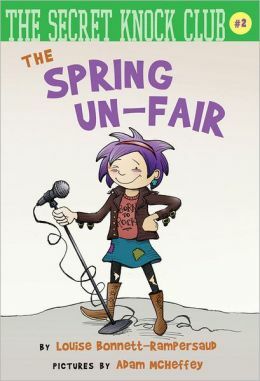 The language used in this chapter book for third grade level readers is both appropriate yet challenging and is easy to comprehend. It will reinforce reading comprehension for these young students. 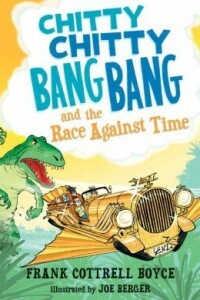 The book has chapters that may appear lengthy but are broken up by exceptional illustrations which serve to keep the third grade student interested when they get tired of reading a page or paragraph. Lulu and the Duck in the Park will be a great addition to any third grade classroom or library and will encourage third grade level readers to be successful.